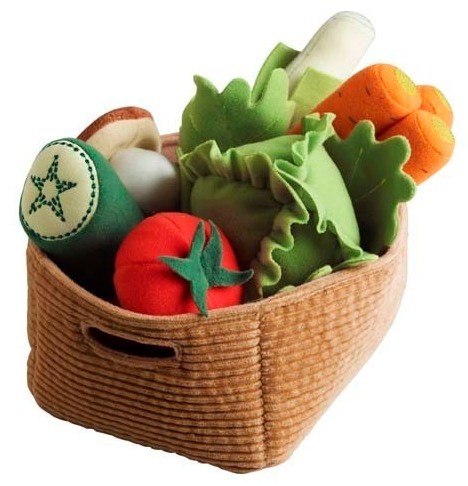 Felt play food is enormously popular with parents and children the world over. Most is handmade and of beautiful quality which means it’s not necessarily budget-friendly. I know. 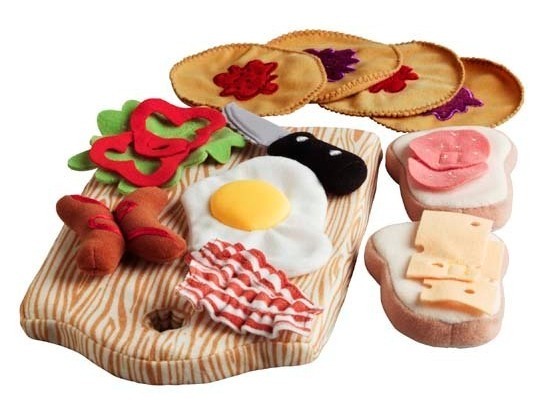 My daughter has a quite a collection of felt food and I’ve often thought how fantastic it would be if there was a less expensive option. Well, now there is! 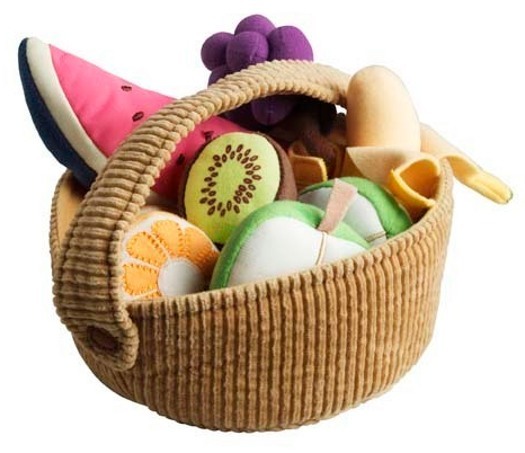 Much-loved Ikea have added delectable play food to their play kitchen collection. Part of the Duktig range (see our feature here on the Duktig kitchen), the play food has the all-important ‘that looks yummy’ factor and will last through lots of play time. My favourites are the banana that unpeels (brilliant! ), the kiwifruit, the swiss cheese and the bacon and eggs. The polyester play food has just arrived in Australia and, like all things Ikea, is extremely well priced at $14.99 per set. Let the play cooking and eating begin!